Product information "Trojan Sparta Inline Window Handle"
Stylish and lockable with push-button opening! 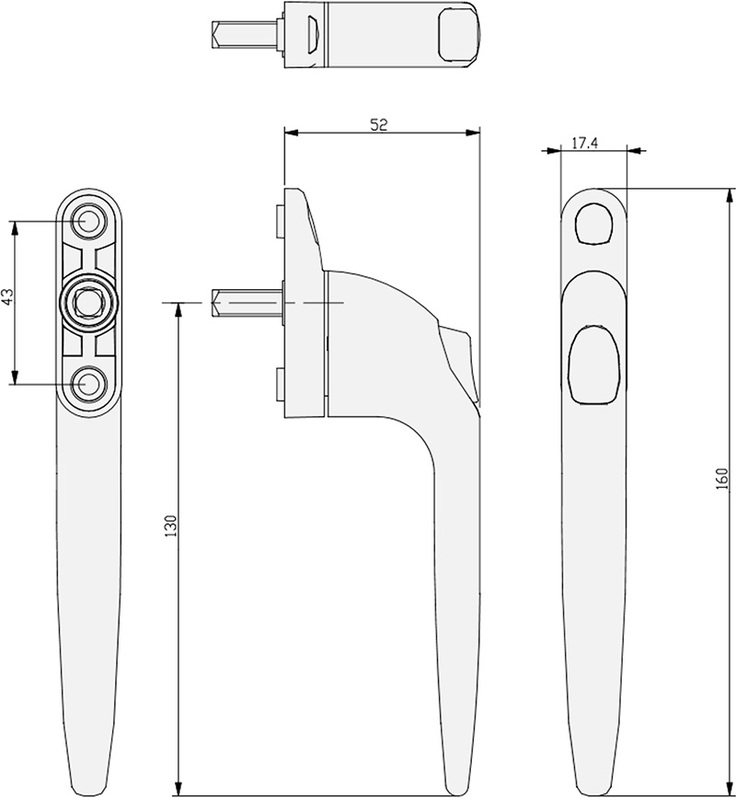 Stylish key-locking inline handle for espagnolette windows. Strong die cast aluminium with choice of spindle length and durable finishes. Comes with 10 year mechanical guarantee. The inline Sparta 2 handle is manufactured to provide optimal comfort and feel during use, whilst it’s sleek design looks discreet on any window. 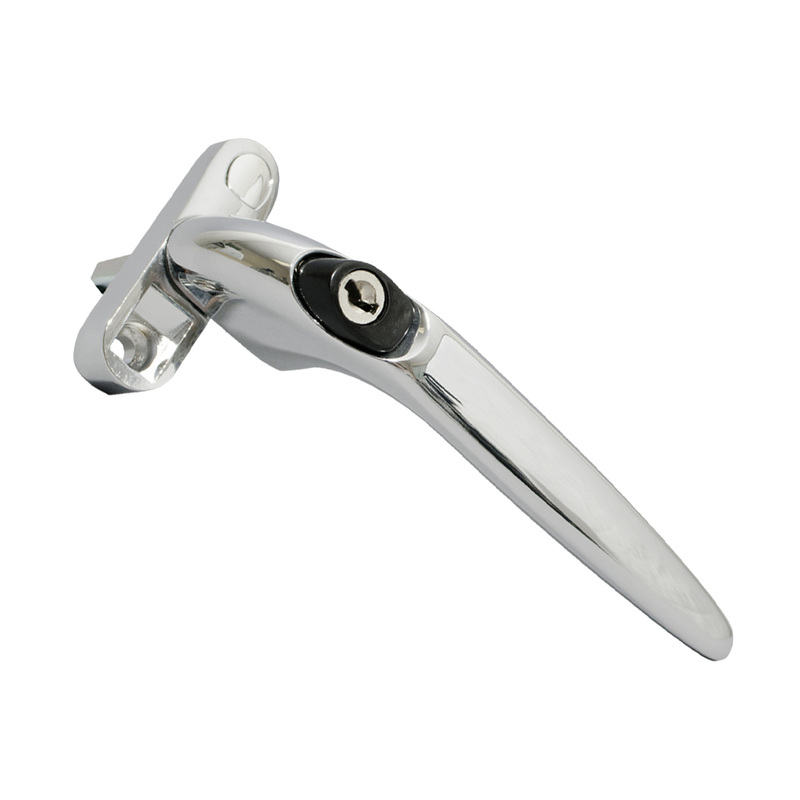 The handles are finished in PVD Gold, Chrome or durabable white powder-coating. PVD finished are known for having high corrosion resistance, impact strength and protection against abrasion. 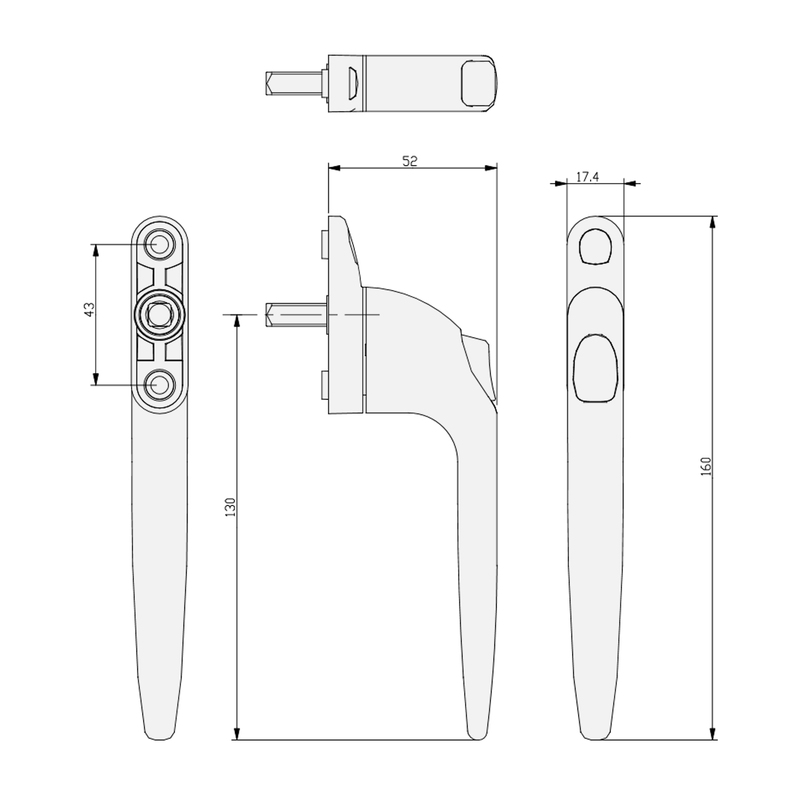 Espag handles feature a 7mm metal spindle that is fixed to the lever and runs through the handle backplate to fit into a lock mechanism within the sash. 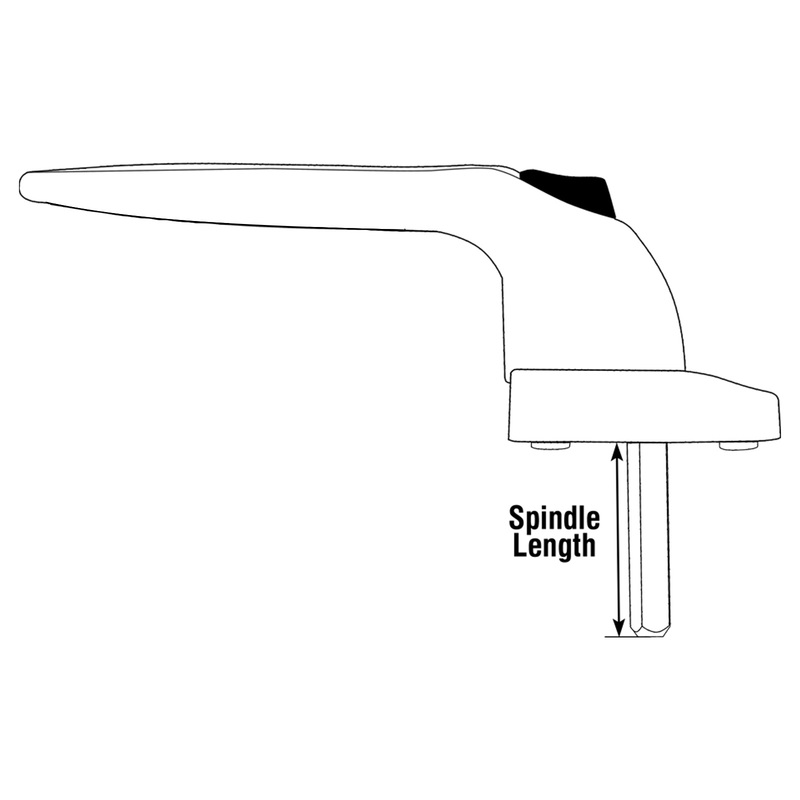 Turning the lever rotates the spindle and triggers the mechanism, which in turn locks or unlocks the window. 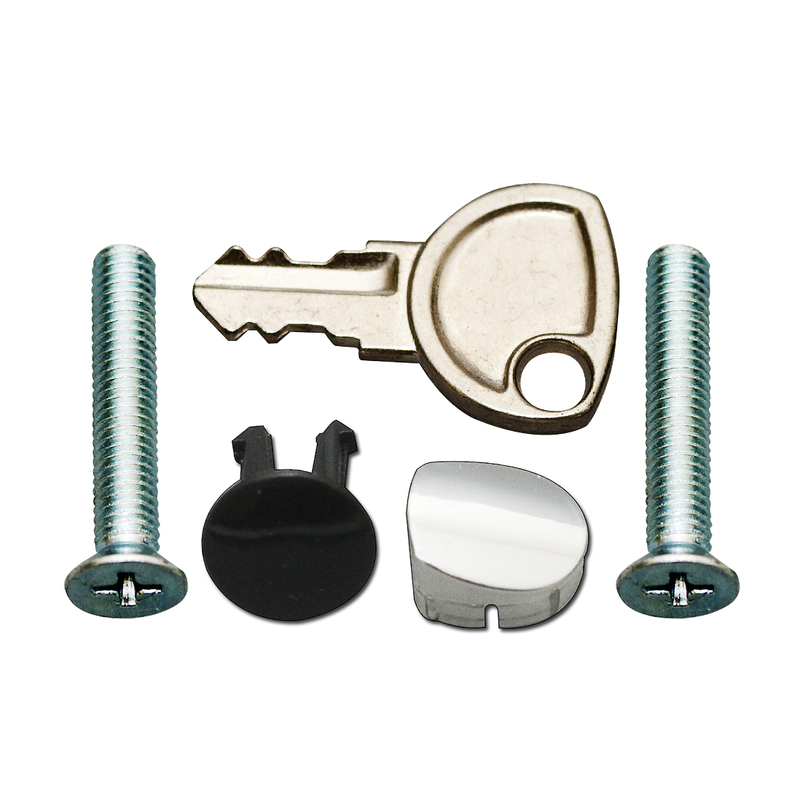 Each handle is supplied with 1 x Sparta 2 inline handle (choice of white, chrome or gold finish), 1 x key, 1 x screw hole cover plate, 1 x key cover plate (converts the handle to non-locking) and 2 x screws. Related links to "Trojan Sparta Inline Window Handle"
Customer review for "Trojan Sparta Inline Window Handle"